The UK is a very strange and mysterious country. One of the weirdest parts is Scotland, famous for its UFO sightings, alien encounters and bizarre goings on! Edinburgh police officer’s wife Pat McLeod was in her car when a flashing light in the sky caught her attention. As she watched, it drew closer and closer. Eventually Pat could make out a ring surrounding the central sphere, a bit like Saturn. It was as wide as an aircraft’s wingspan. Around the circumference were little windows, glowing with light. The craft hovered over Duddingston Park then drifted to a field next to Niddrie Burn. Yet when Pat went to look, nothing was there. The object had landed in an area surrounded by high rise flats and in broad daylight, yet Pat seemed to be the only person to see it. It was mid December 1983 and Tom Coventry was at a bus stop in King’s Park area of Glasgow. But it wasn’t a bus that arrived. It was a bizarre object in the sky, travelling at low altitude and with spurts of flame belching from the rear. Tom wondered if it was a stricken aircraft. But then the vessel suddenly paused to hover just 20 ft away. Grey and shaped like a railway carriage, it had three windows at the front revealing swirling yellow smoke inside. It moved off slowly before shooting into the sky. It might seem strange that – just like Pat McLeod’s case – Tom was the only person to see it. 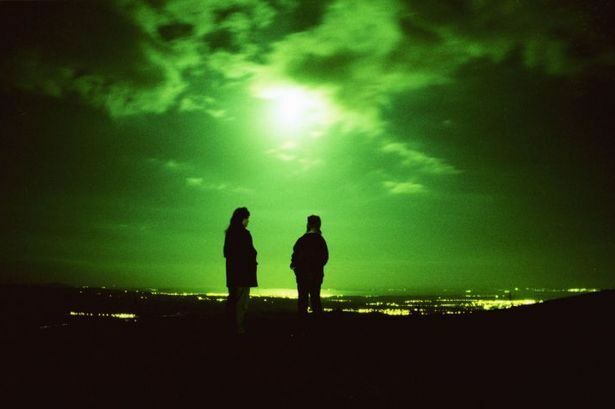 But, says Scotland’s UFO expert Ron Halliday, it may be that some are simply more susceptible to seeing alien visitors than others. “We hear of psychics,” he says. “Perhaps some have an ability to tune into other dimensions or see things that the rest of us can’t see. THE quiet woodland walk was one Bob Taylor had taken many times, his loyal red setter Lara by his side. Yet on one particular November morning, Dechmont Law in West Lothian would become the scene of one of Scotland’s strangest UFO mysteries. And Bob would return home to Livingston that day with an X-Files tale of space ships and aliens that even now, precisely 36 years on, is on police books as an unsolved mystery. It was 9 November, 1979 when forestry worker Bob, 61 at the time, had his walk interrupted by a large grey shimmering orb, 20ft in diameter and 12 ft tall. 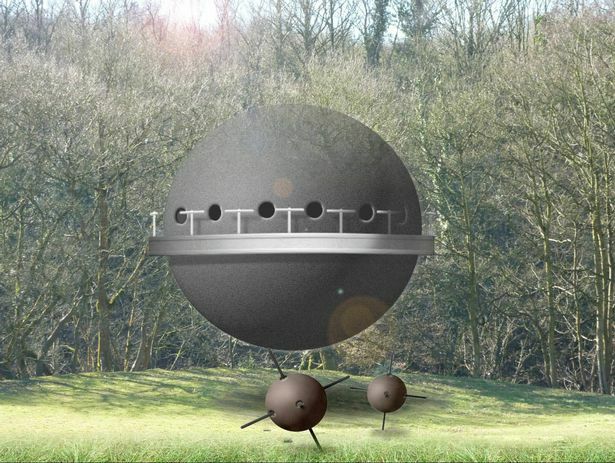 As he watched, two spiked spheres rolled towards him, grabbed his trousers and pulled him. When Bob arrived home, ashen-faced and with ripped trousers, he immediately told his wife he was the victim of a bizarre alien attack. Police believed something strange had happened. To date it is the only time an alien sighting has formed part of a police investigation. Yet Bob’s alien encounter was far from Scotland’s only brush with the extra-terrestrial. Abducted on the A70 ? 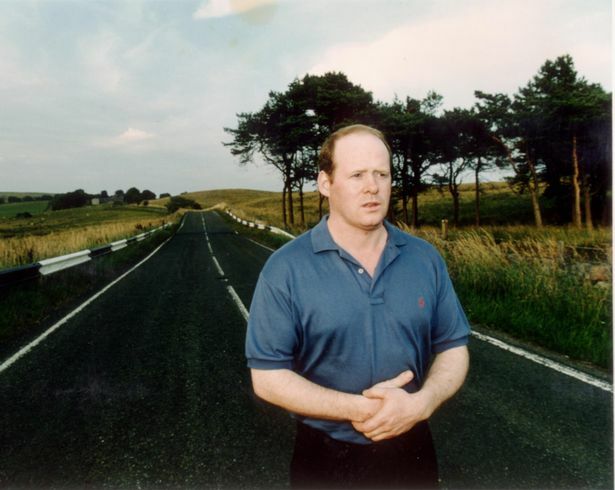 PALS Garry Wood and Colin Wright were driving on the A70 near Mid Calder in August 1992 when a strange two-tiered disc 30ft wide appeared, hovering above the road. Within seconds, their car was engulfed in bright light. When they came to, their car was facing the wrong way and they had ‘lost’ nearly two hours. Both underwent hypnosis with astonishing results. Garry told how three creatures approached and he had felt intense pain, like an electric shock. 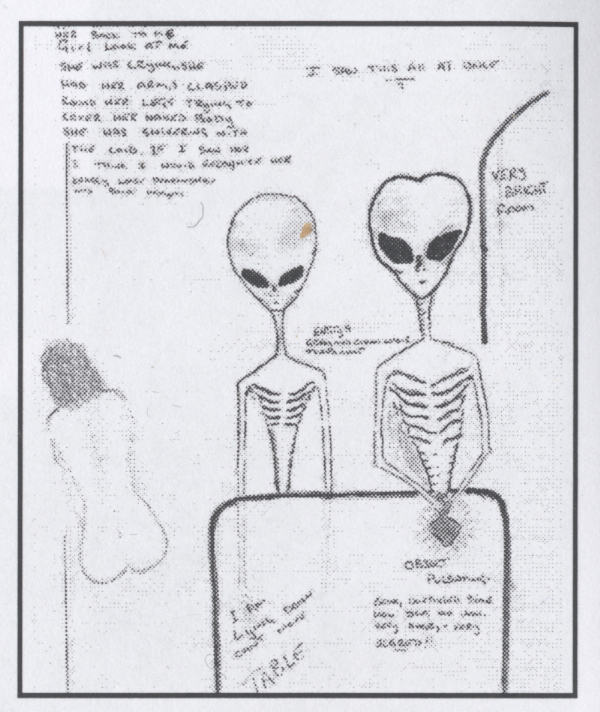 He saw “wee men moving about doing something to me”, and a 6ft tall white-grey creature with a large head and dark eyes, human like arms with four long fingers. His friend’s story was remarkably similar. When they both took a lie detector to check their stories, both passed with flying colours. It was around 8pm on quiet Fife road and the bright light in the sky was so odd that the occupants of a passing car stopped to watch. Suddenly the bright light split into two. A black, triangular object appeared, hovered then vanished. Newton of Falkland in September 1996 was not prone to UFO visits. Intrigued, the car’s occupants decided to investigate further. What they encountered was stranger still: mesmerising lights in a wood and, in their midst, small grey figures busy collecting boxes, overseen by a larger being. As they watched ‘bubbles’ suddenly rolled towards them at speed, each containing a small alien being. 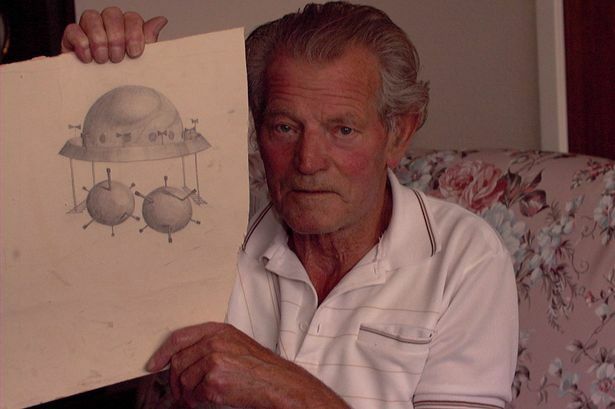 The witnesses initially gave UFO investigators a detailed summary but later refused to discuss it further, raising questions among some as to what actually happened.